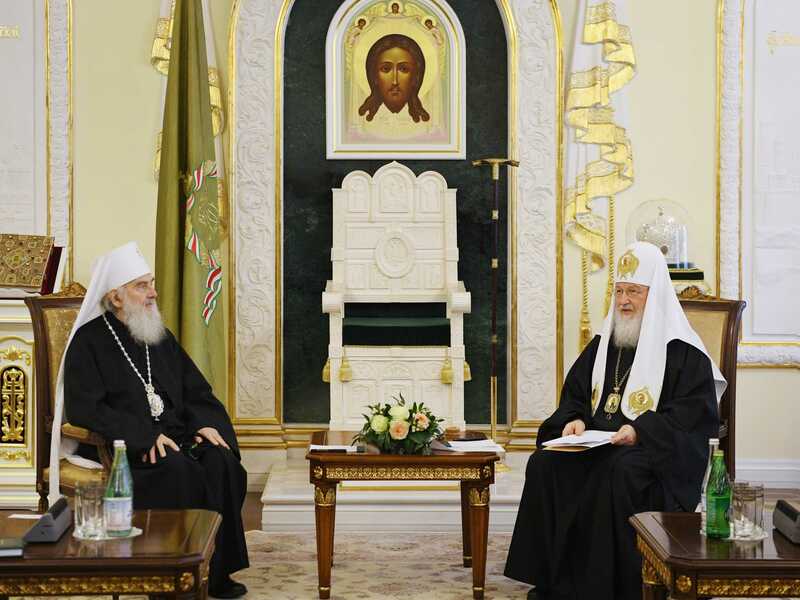 Patriarch Irinej of Serbia has described the question of granting autocephaly to the Ukrainian church as purely political during a visit to Moscow. The patriarch then went on to say that the commotion caused by the Ukrainian question was like a bomb which exploded inside a house, and that Ukraine has become the object of much temptation for Orthodoxy worldwide. “Ukraine is a great temptation [for sin] for Orthodoxy in general, and this temptation is of great significance, as it concerns the very center of Orthodoxy. It is not something external, what is happening in Ukraine is like a bomb which was thrown at our house,” said the patriarch.